MobileDemand xTablet T1400 has a lot to offer, IP65 sealed, 19mm thin and 1.1 kg heavy only; so, it is user friendly in the working cycle. 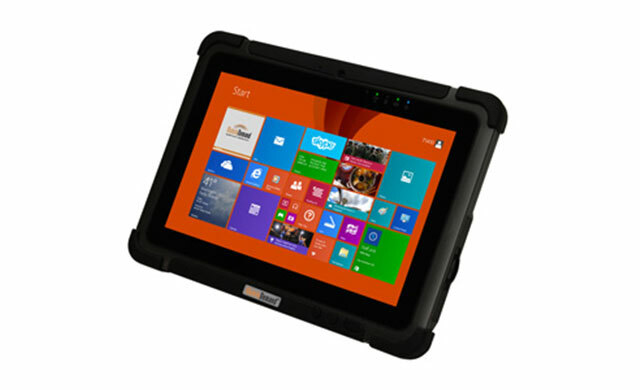 Thanks to its wide selection of accessories (extended batteries, vehicle mount, Barcode scanner or RFID reader) the tablet can adapt to any application. This model is provided with an excellent Intel Bay Trail N2920 Celeron processor with 4 GB Ram and 64 GB SSD. It is also available with 4G WWAN. Os system configurable with Windows 8.1 Professional or Windows 7 Professional.